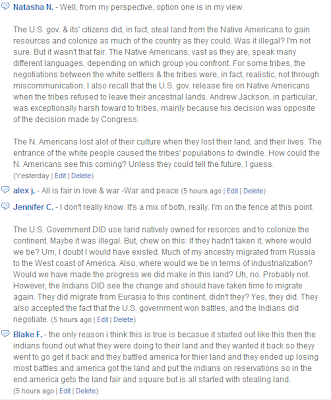 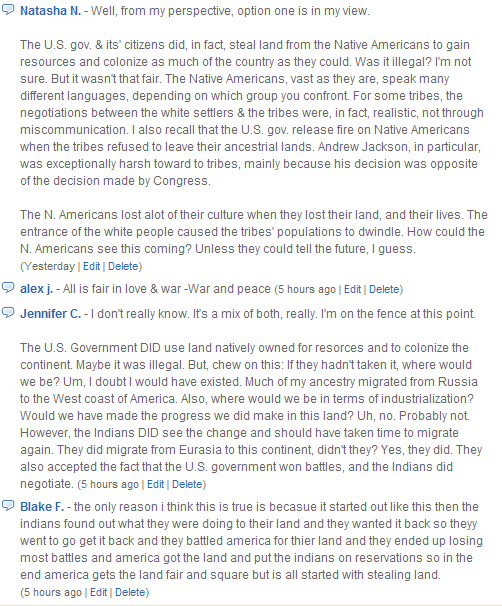 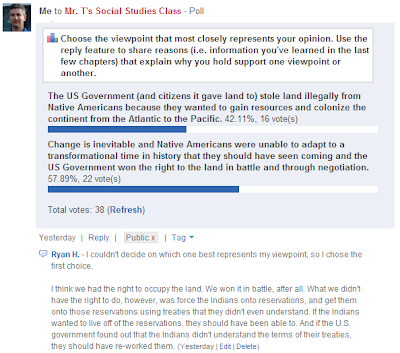 Another way we've been using our class micro-blog (http://www.edmodo.com/) is to have threaded discussions that involve giving the students a poll question that they respond to. 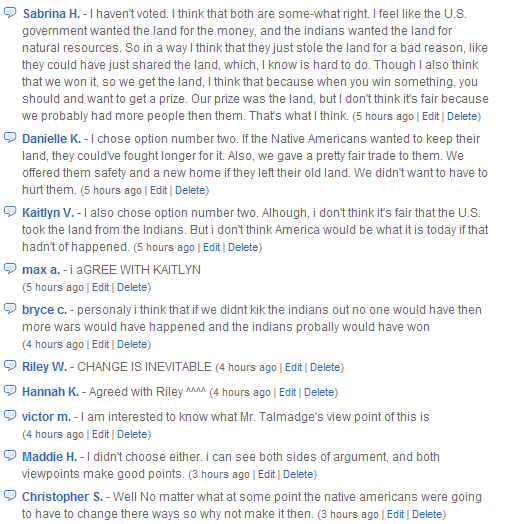 This week and last we have been learning about Indian Removal during the mid 1800's and how the Native American way of life changed drastically in about a 20 year period. I posed a poll question and the students' discussion can be seen below. I enjoyed reading their thoughts.